This versatile design can be tailored to suit your style. 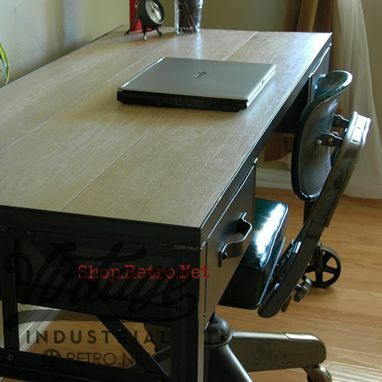 Mix and match walnut or mahogany desk workspace, alter the size, create a console table or kitchen island, remove the wheels, remove the drawers or add more, create a rust or polished chrome-like finish – the possibilities are endless. 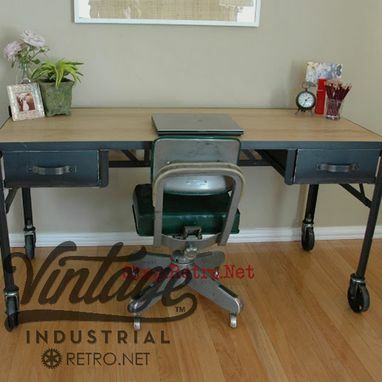 Pictured desk dimensions are 60″ x 24″ x 30″ tall. Drawers are 13.5″ wide and offer lots of storage space. Inspired by a 1940s French work desk, this design offers simple, clean lines enhanced with side and back stylized diagonal supports. 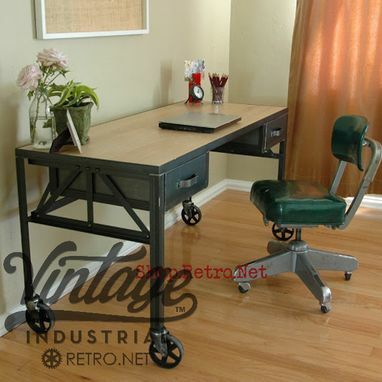 Solid and sturdy, the desk weighs in at 150 lbs – but glides anywhere smoothly with gorgeous five spoke locking iron caster wheels. Desk workspace is hand crafted from aged solid white oak hardwood, with cool, deep gray steel details and supports. 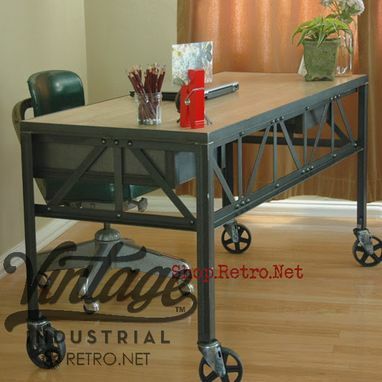 Makes an excellent computer or writing desk for any loft or apartment.